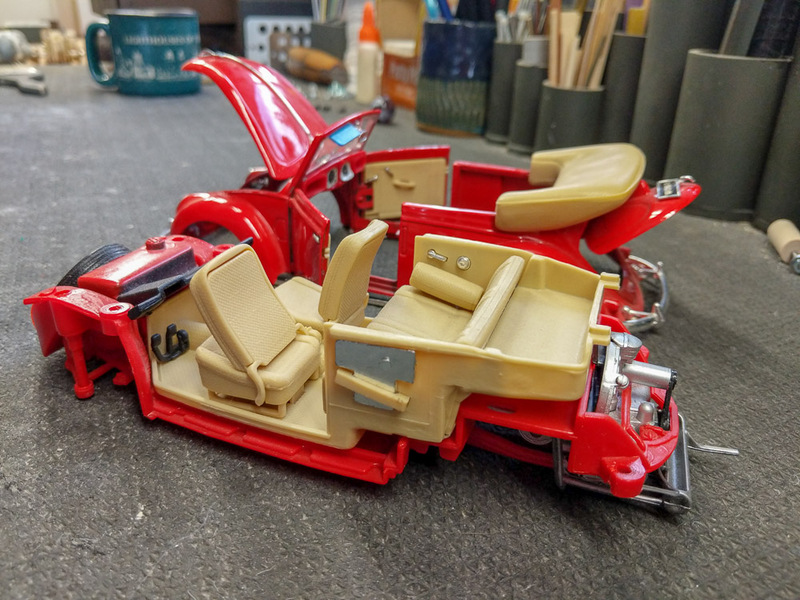 A Sunday Drive: two major assemblies. 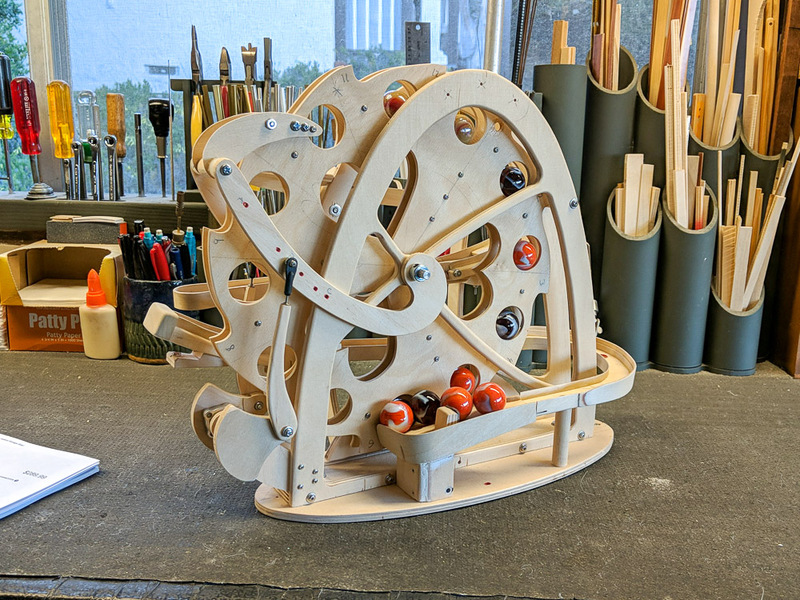 This automata is a 1/1 and will be for sale, perhaps by the end of 2019. 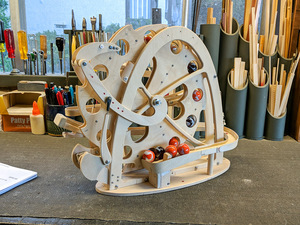 This automata will be motor driven. Here is a link to the A Sunday Drive Project Sheet. 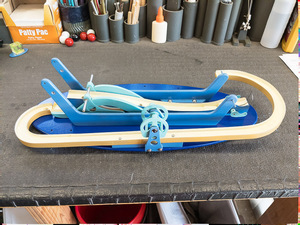 This Big Wheel Lift #1 is the prototype for additional Big Wheel Lifts. It will be in my wife’s personal collection and not for sale. 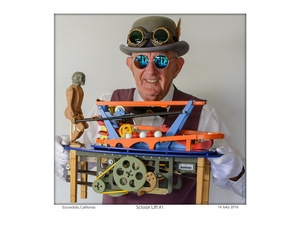 This automata will be motorized in addition to being hand crankable. Here is a link to the Big Wheel Lift #1 Project Sheet. Created between August 2018 – April 2019. This automata is completed with exception of the biped, which I am not quite finished with. Scissor Lift #2 should become available to the market in May 2019. Here is a link to the Scissor Lift #2 Project Sheet. Hand cranked. No motor available. This Scissor Lift #1 is the prototype for further Scissor Lifts. Not For Sale. In my wife’s personal collection. Here is a link to the Scissor Lift #1 Project Sheet. 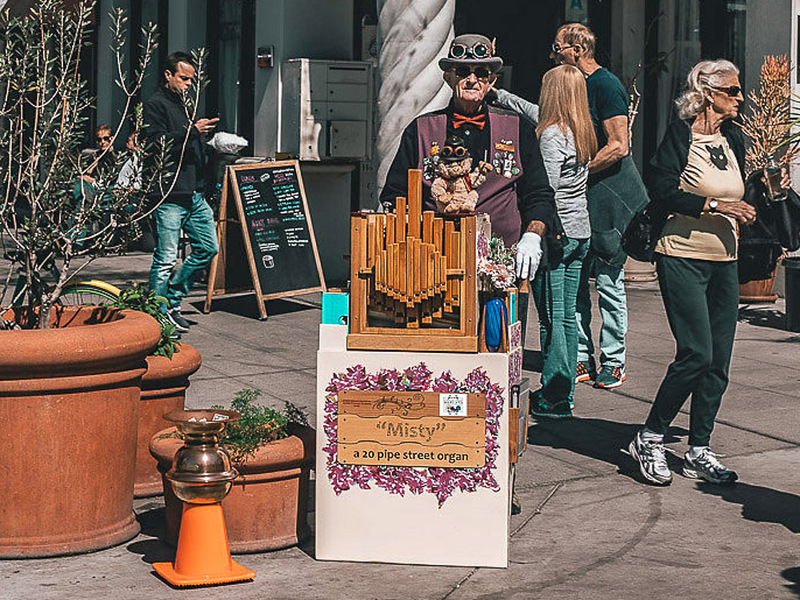 Misty, a 20 Pipe Street Organ. 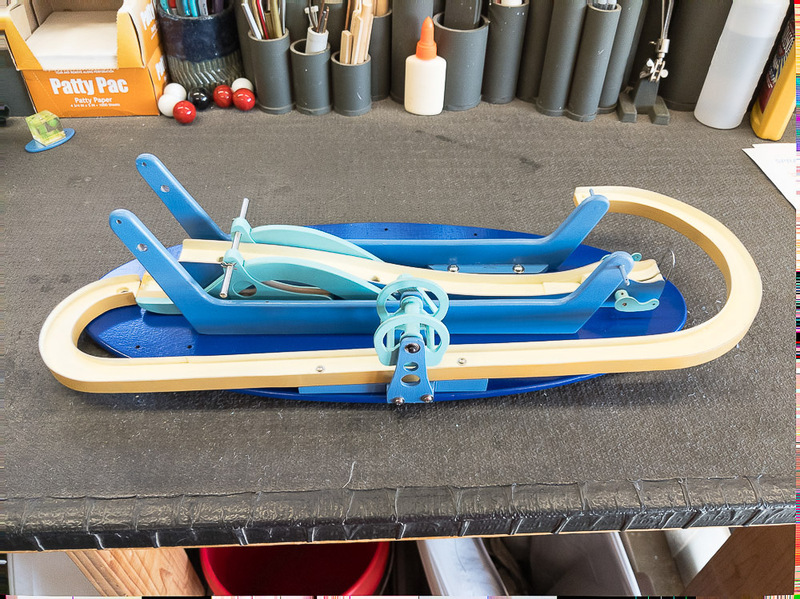 Hand built by Jim to a John Smith design. Monte the Monkey was an important addition and the reason that Jim has moved into the creation of Automata.